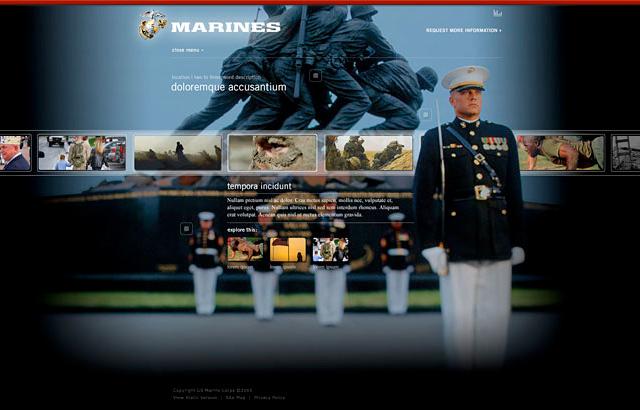 US Marine Corps - BrainstormOverload - Small design studio. Big ideas. 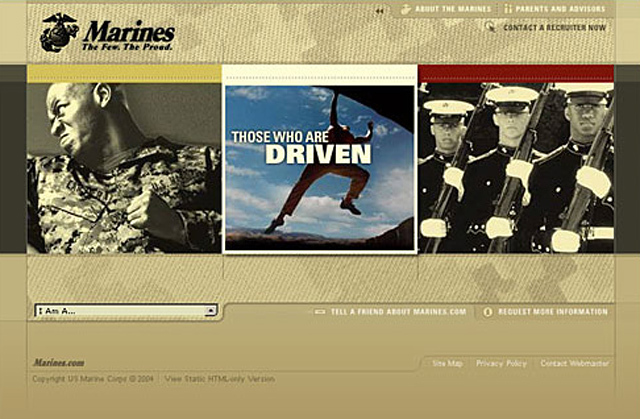 Todd worked on projects for the Marine Corps for five years while at JWT. In addition to winning an EFFIE the 2005 version of the website achieved a deep level of authenticity. The interactive experience started with the final frame of the television spot (developed simultaneously) in what we came to call the “61st second”. 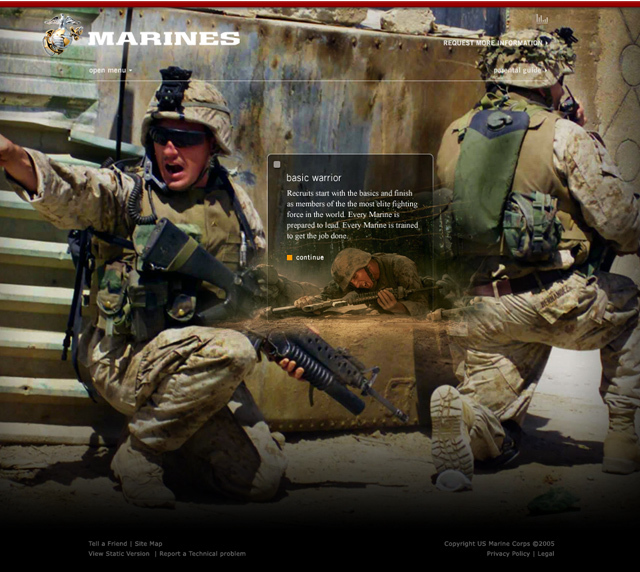 To create a more immersive experience we drew exclusively from the amazing photography shot by Marines in the field. 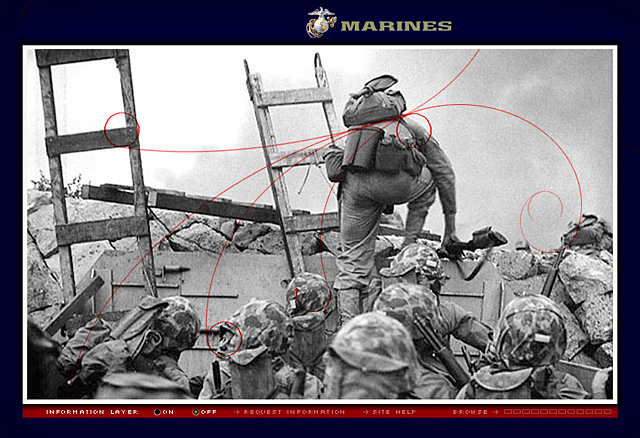 The user discovers first level information by exploring “data points” that open, providing an intriguing glimpse into different areas of life as a Marine. Clicking through to content pages not only provides more information but creates an interest profile based on benefit tags that recruiters could then reference when they met with a potential recruit. 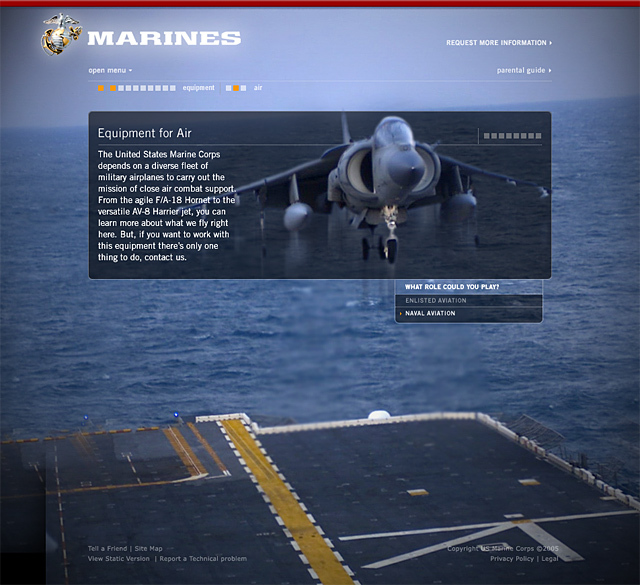 This made for a more relevant and effective meeting and the Marines were the only branch of the military to make their recruiting mission despite events in the middle east. Dynamic content modules provide ongoing visual interest while leading users forward. We also created two interactive CDs for recruiters to hand out. 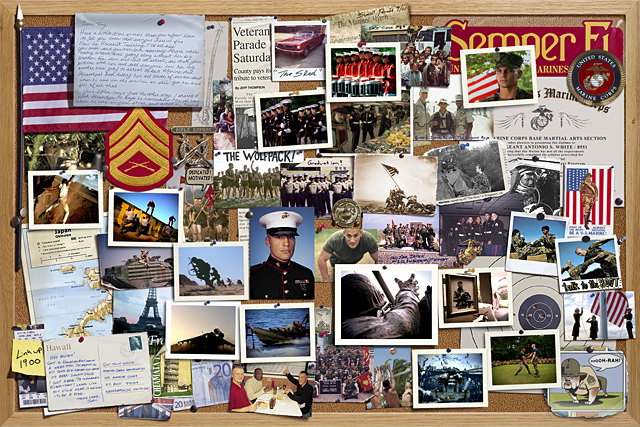 These let users explore a bulletin board of items that would be important to a Marine as a way to make the learning experience feel more personal. Todd designed the first prototype of the immersive “data point” experience, then as associate creative director led the design of the final version. The prototype was nice and clean but the final version provided more detail and the grit that better represented the corps. 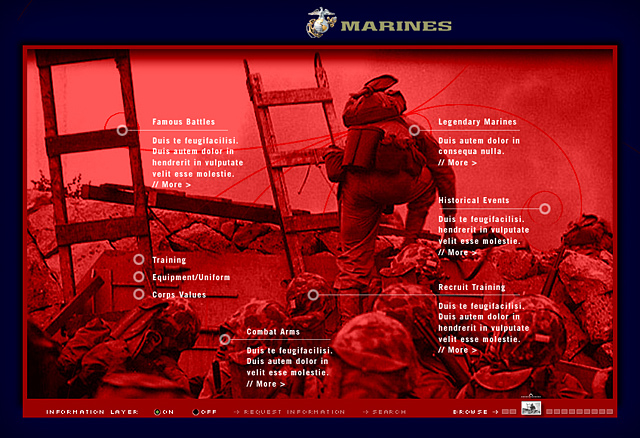 While not involved in the design of the previous version (done by Kurt Noble Interactive) Todd was heavily involved with the strategy phase that led to that site’s award winning success.